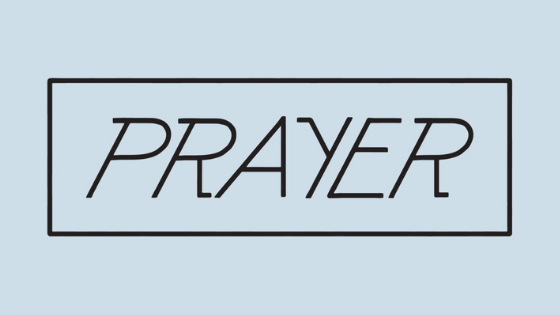 This week we have numerous resources lined up for you on the Spiritual Discipline of Prayer. Let’s dive in. First we have an article by John Piper called Tips for Praying the Word. Here, Pastor John gives us very practical steps and examples of what it might look like to pray through a passage, thus further linking prayer and the discipline of meditation. Give it a try this week! Since we’re talking about praying the word, here’s the link to one of the Elder’s favorite messages from the Living Scripture CCEF Conference from 2018. I’s called Praying Scripture: The Cry of the Longing Heart by Joe Novenson. In addition, here’s the outline that accompanied the talk. We highly recommend giving a listen. The third is one of my (Jesse’s) favorite books on prayer I’ve read thus far. It’s called A Praying Life by Paul Miller. It comes with an optional study guide to guide you through different practices and really getting the practice of prayer down to an efficient yet effective system. Plus is has a forward by David Powlison so that’s a big plus. Next we come to the Prayer Mate app. If you want to digitize your prayer lists, this is a great, free way to do so. Here’s what Nathan has to say about it from his time with the app: “The Prayer Mate app is a great app to keep track of all of your prayer requests. It not only keeps your prayer requests, but it also reminds you to pray for them throughout the day. It even allows you to add Bible verses and biblical prayers. It’s a solid prayer app that can be a great support to your prayer life.” So what are you waiting for? It’s available on iOS and Android. Finally, we come to another article, this time written by Don Whitney himself (he’s the man behind the “tome” Spiritual Disciplines). The article is called The Gospel and Prayer and it examines whether or not the prayers of an unbeliever are heard an answered by God. An interesting and tricky question handled by a skillful theologian. Next week we’ll be examining the discipline of Stewardship so stay tuned for more resources.